Why do stock prices fluctuate? Hello Investors. Today, we are going to discuss why do stock prices fluctuate. Every day you might hear the fluctuations in the stock price. You can read the stock news of last day which says something like HPCL increased 0.7% percent, Yes bank fell 0.35%, Reliance industry was flat with 0.01% in positive. Further, sometimes these fluctuations are shockingly high in a single day like titan moved +18% in one trading session. Why do these happens? Why do stock prices fluctuate so much? What causes stock prices to change? It’s really important to understand the reason behind the fluctuations of stock price for success in the stock market. The reason behind the fluctuations of the stock prices is ‘supply and demand’. 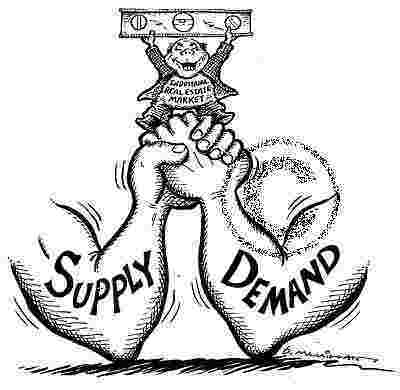 Now, let us understand the funda of supply & demand in the stock market. There are two kinds of people in the market. ‘Supply’ refers to the total number of people who would be willing to sell their shares at any price. ‘Demand’ refers to the total amount of people who are potential buyers and would be willing to buy at any price. The point where the supply and demand meet i.e. all the potential buyers and sellers trade until there is no-one left who agrees on the price is called market equilibrium. If the number of people who are willing to buy the stock (demand) is greater than the number of people who wants to sell the stock (supply), then the stock price increases. On the other hand, if the number of people who want to sell the stock (supply) is greater than the number of people who wants to buy the stock (demand), then the stock price decreases. Although its simple to say that the price fluctuations are due to demand and supply, however, what causes the demand and supply is an interesting topic to understand. Why people like some stocks and dislike others are due to various reasons which we are going to discuss next. 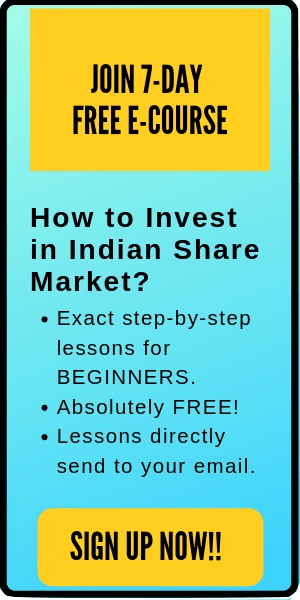 Also read: #9 Reasons Why Most Indians do not Invest in stocks. If there is a positive news regarding a company, then its demand increases. If the news is negative then the demand decreases and people are trying to sell their stocks. And if the news is neutral, then people can be uncertain. I have never met two such investors who agree on every point regarding a stock. Every investor has his own ideas and strategies. Some people may like the stock, while the others dislike (due to various reasons). This difference in the ideas and strategies of the investors also affects the demand for a stock. Stock market is run on sentiments and ‘greed & fear’ are the driving force here. When the people are greedy, then the demand increases. When the people are fearful, they want to sell all their stocks and exit which causes an increase in supply. The greed and fear of the people cause the fluctuations in the stock price. Further, all the people are not greedy or fearful at the same time. Earnings are the measure of company’s profitability. Everyone wants to invest in a profitable business. Stock prices shows the present value of the future earnings expectations of the company. 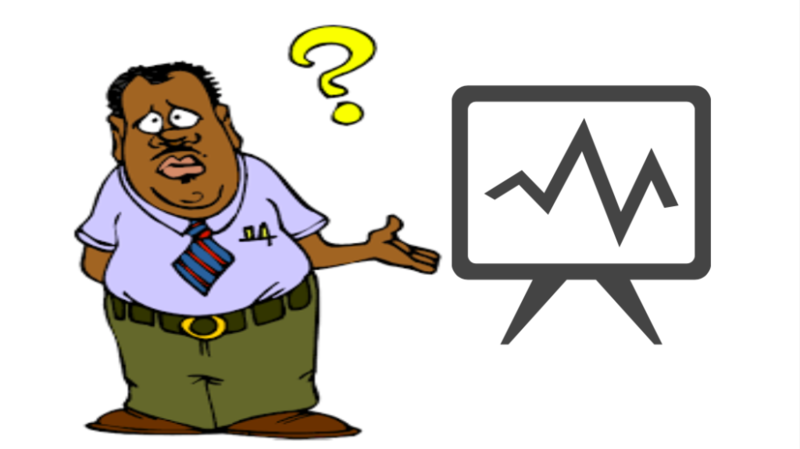 Now, that we have understood the reason behind the fluctuations of stock price, let us understand why demand or supply increases in any specific company. Here are the few reasons that cause decrease in demand and increase in the supply. Note: There are a number of financial gurus who have their own philosophy about the stock price. 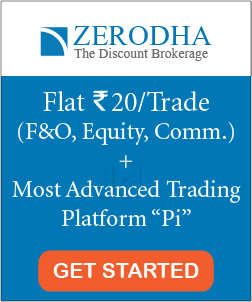 Some believe that it isn’t possible to predict the share price while others argue that they can determine the future price of the stock from the past charts and trends in price movement. Nevertheless, for the bottom line, whether he is a buyer or seller, both thinks that he is making a good deal. Buyers are optimistic about the stock and believe that its undervalued and have good future potential. Sellers think that the stock is overvalued and cannot give good return in the future. Stock prices fluctuations are a function of supply and demand. The factors such as earnings, financials, economy and so on may affect the desirability of owning (or selling) the stock. That’s all for today. I hope you have understood the logic behind why do stock prices fluctuate. Further, if you have any other doubt, feel free to comment below.